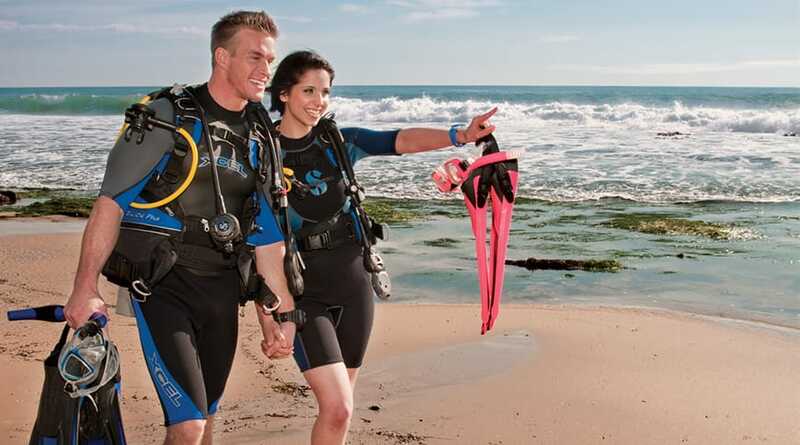 Alabama's public beaches offer a variety of interesting dives that are accessible from the shore by a short swim. 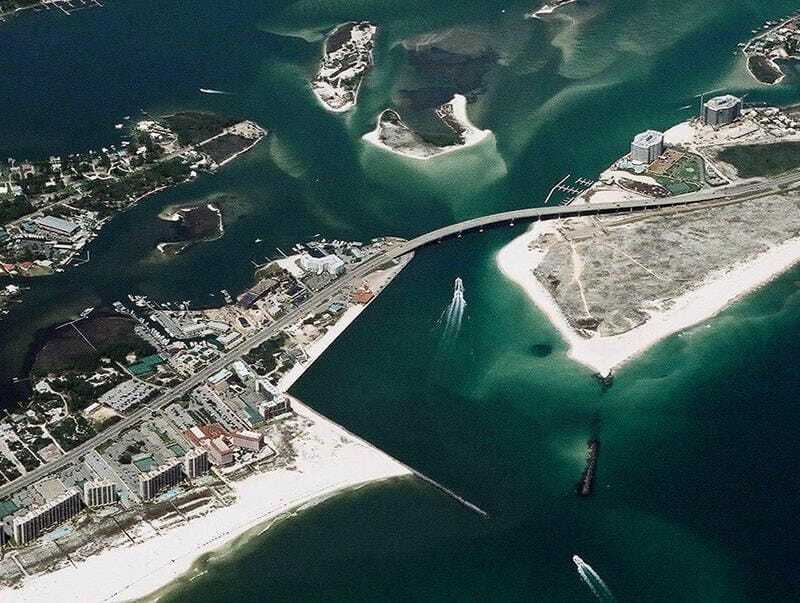 The two most popular sites are the Whiskey Wreck and the Perdido Pass Jetties (aka Alabama Point). The Whiskey Wreck is located approximately 150 yards from the beach due south of the east end of the small beach house west of the parking area. This 200' rum runner is located in 15 to 25 feet of water. It covers approximately 300 square yards. This wreck lies just beyond the sand bar, making it an ideal beach diving opportunity. Night diving on the Whiskey proves to be a very rewarding experience as you can almost always see things that go unnoticed during daylight hours. The public beach area is located on the east side of Perdido Pass, 8.7 miles east of Alabama Hwy 59 and 2.5 miles east of Alabama Hwy 161 / Orange Beach Blvd. The public beach area covers about 70 acres and includes hundred of yards of boardwalks that allow visitors to cross sea oat covered sand dunes en route to the beach. This beach access area provides two parking areas, restrooms, covered picnic areas and outdoor showers. Bordered on the south by the Gulf of Mexico and by Perdido Pass to the west, the Florida Point is can excellent place to snorkel and dive if conditions are acceptable. For the non-divers the Point is also the first station on the Alabama Coastal Birding Trail. Favored sightings include herons, egrets, loons, pelicans and seagulls along with other shore and wading birds. Florida Point's east parking now offers restrooms and a rinse shower. The seawall and jetty on the west side of Perdido Pass are popular fishing spots with anglers. divers and snorkelers. To get optimal conditions it is always best to dive the Pass on an incoming tide an hour or more before the peak. The City of Orange Beach has constructed habitats close to shore that may also attract dive enthusiasts from all over the U.S. The reefs will occur within yards of the Alabama shoreline. The nearshore project includes circalittoral reefs, sometimes also called snorkeling reefs, that can be reached from the sandy beaches. Craig Newton of the Alabama Marine Resources Division said the $590,000 project is financed by BP fine administered through a National Fish and Wildlife Foundation grant. 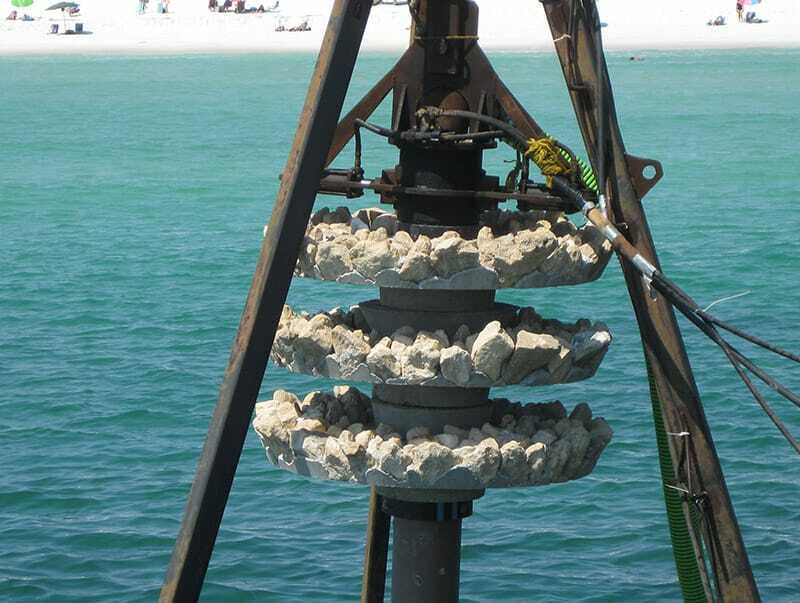 “They are three or four concrete disks on each piling and the piling will be embedded into the seabed about 12 or 13 feet deep,” Newton said. 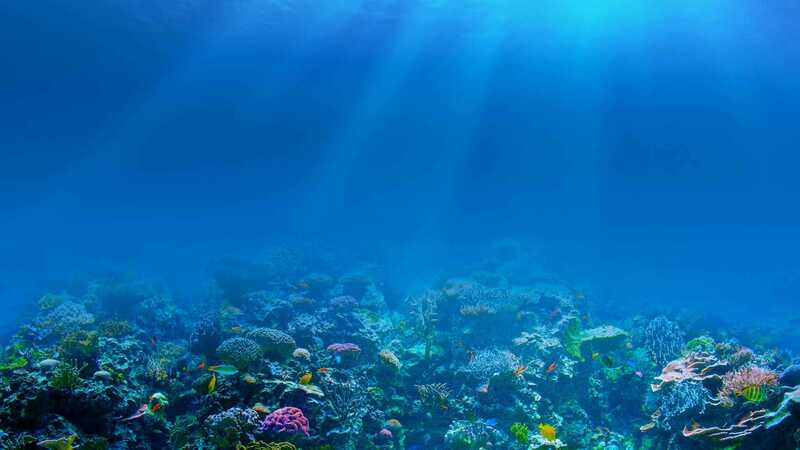 For more information on the Orange Beach Snorkeling Reefs Click Here. You can get the best tide report by clicking here. 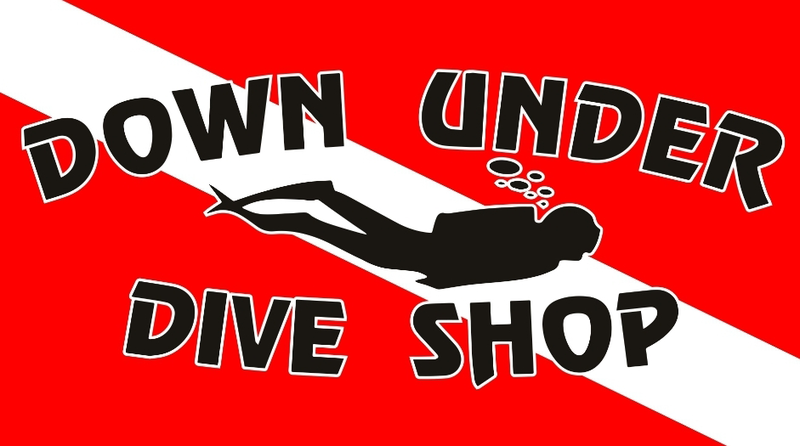 Please remember a Dive Flag or suitable SMB is required for each team of divers and all divers must surface within 50' of the flag.